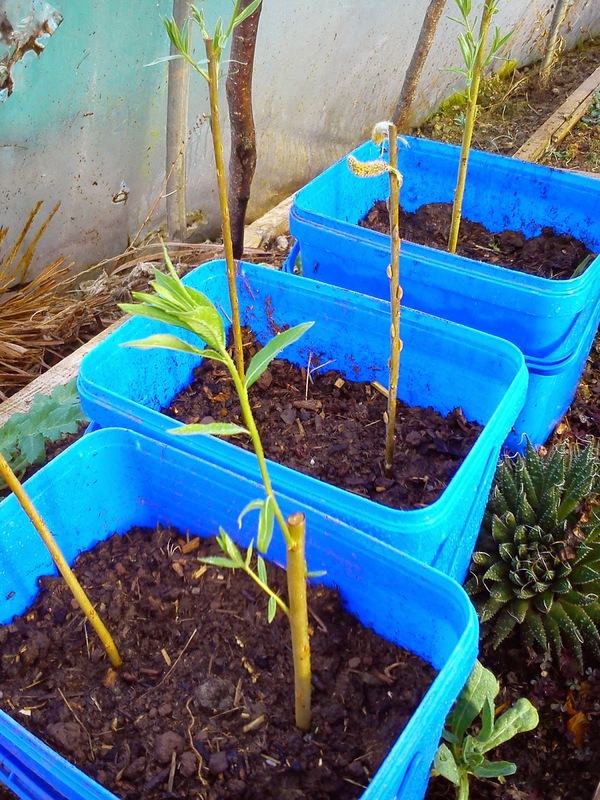 ianwatt.blogspot.co.uk: Willow... it's so easy! We've been planting hundreds of trees here on the farm over the last few years, fruit trees as well as oaks, birch, rowan, hazel and also willows which all started from a bunch of sticks that our friend, Azzi, gave us. We are planning a lot more tree planting this year so I've been getting some propagation on the go. 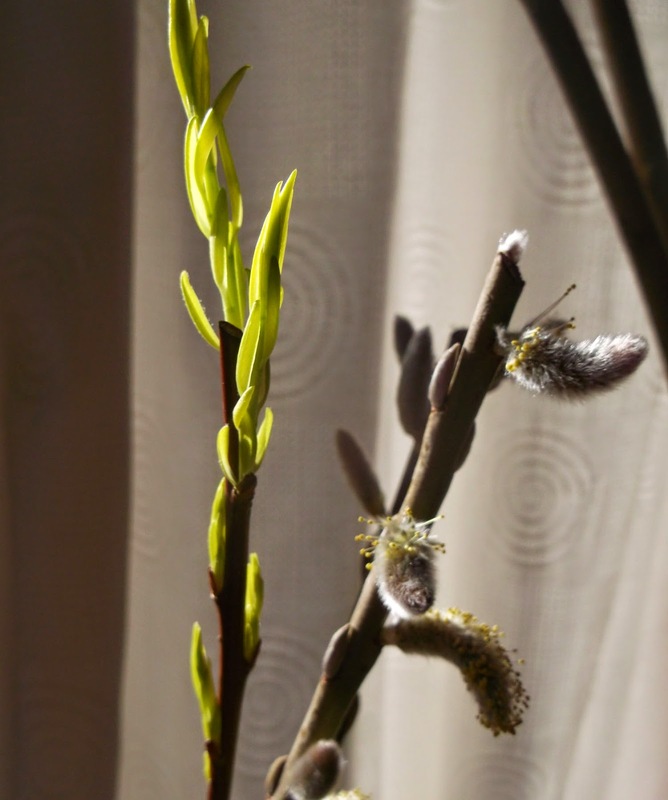 Willow just must be about the easiest thing to grow so a great place for anyone to start. 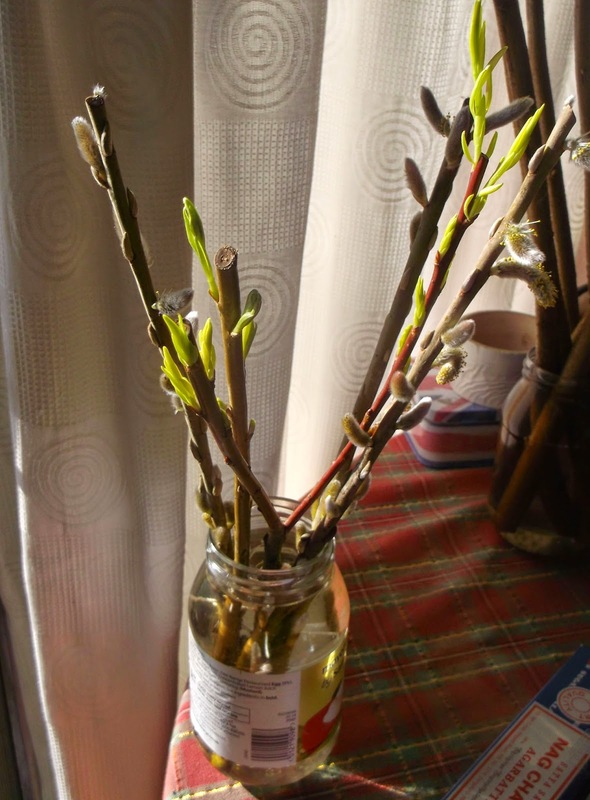 If ever you want to see the power of nature first hand just pop a fresh willow cutting in some water. 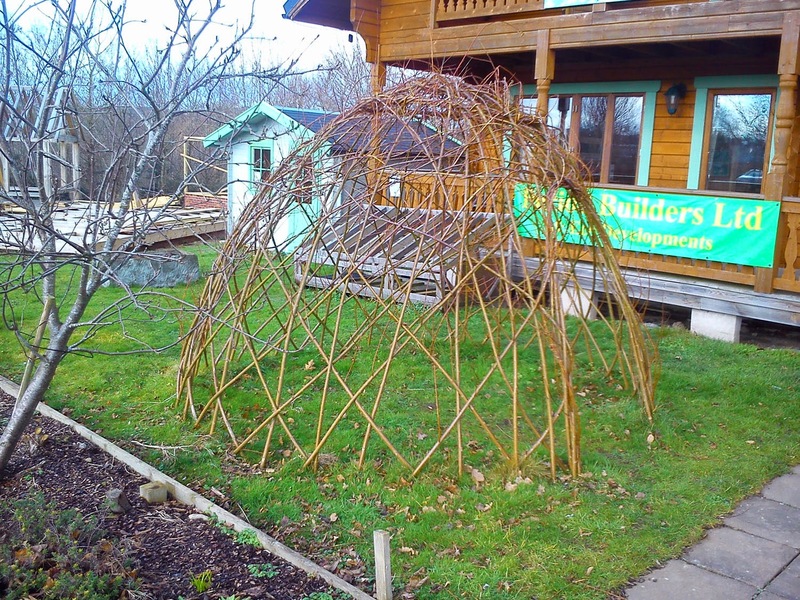 Willow has lots of uses, as a fast-growing fuel, (maybe the fastest: www.thewillowbank.com, ) as well as a material used in all sorts of things from baskets to guitars. It has a lovely graceful bambooish look to it too. The willow grove at the foot of of our plot, these ones are just a couple of years old and had a difficult start due to rabbit attack. All the same, some of them were reaching twelve foot tall. 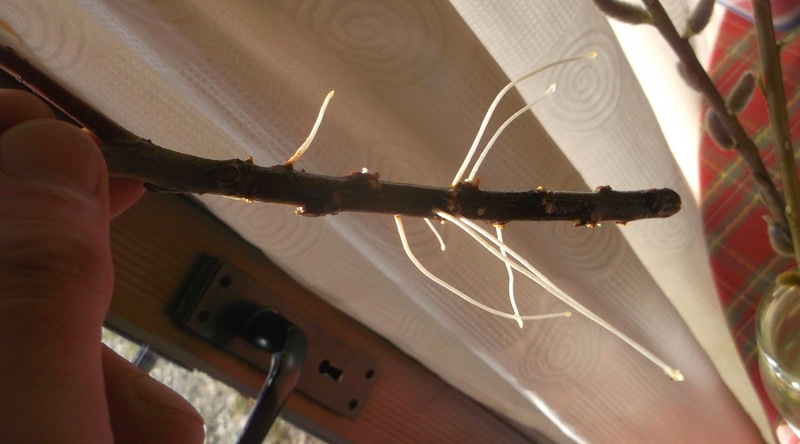 I've pruned them back and saved the cuttings to propagate more trees. 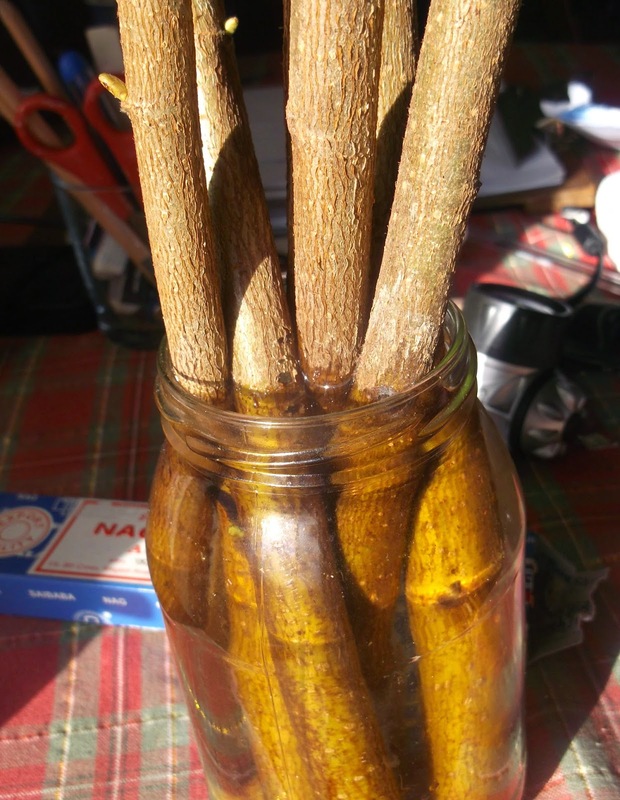 ...and rootlets, ready to go into a pot or into the ground. 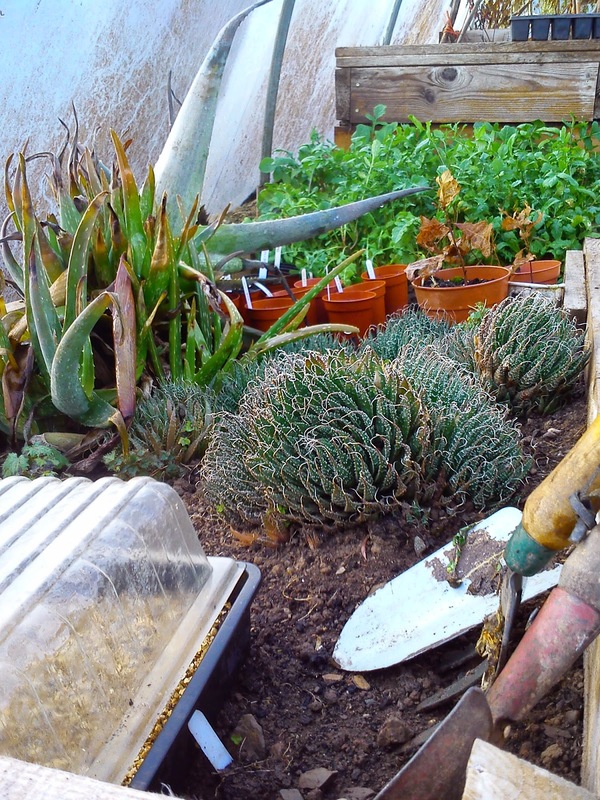 It's still a bit cold out so these ones have gone into pots in the polytunnel. It seems to be working a bit more slowly with hazel too, which is a bit exciting as it's not the recommended way of propagating hazel. As Chris Dixon says, "The plants don't read books." Lots going on in the polytunnel already.